OVS Offshore A/S is established and equally owned by three highly experienced Danish companies: Orskov Group A/S, VMS Group A/S and Scanel International A/S, all of them situated at the Port of Frederikshavn. OVS Offshore brings together offshore rig expertise from three companies with over 700 specialist staff. For over a decade, each company has provided their services to the international oil and gas industries and built a solid knowledge base and experience, now gathered in OSV Offshore. – By bringing all that knowledge and expertise together in OVS Offshore, we can offer our customers a broad spectrum of products and services, all brought together in one complete solution. This ensures that OVS Offshore both has the skills and the capacity to compete with the very biggest players on the market, says Claus Søgaard Poulsen, CEO Scanel and CEO OVS Offshore. OVS Offshore has a declared goal to be one of northern Europe’s strongest offshore companies within service, repair and support services in the offshore oil and gas industries. – Our three companies have a range of specialist skills and solutions for the oil and gas industries. We have cooperated on customer projects for decades, including at least ten years working together on specific oil and gas offshore projects, says Claus Søgaard Poulsen. OVS Offshore is based at the port of Frederikshavn in the northern part of Denmark. The port is close to the many oil and gas fields of the North Sea and with the location in Frederikshavn comes further advantages, such as the on-going expansion of the port, which by 2018 will ensure water depths of a minimum of 11 meters. 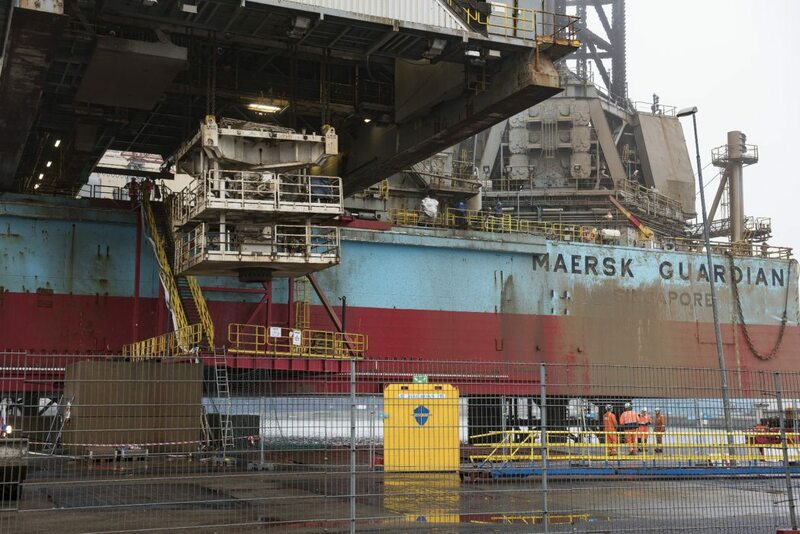 Port of Frederikshavn and Orskov Group have already housed the Maersk Guardian rig, which was in for a rebuild in 2015 -16. The guaranteed access to the port ensures optimal sailing conditions all year round. – At OVS Offshore, we have our own workshops and service facilities on-site at the port, and with more than 100 local partners and suppliers, the port has ideal settings for service, repair and renovation of offshore units. This means that we are able to provide our services at competitive conditions. Furthermore, Frederikshavn is a port placed in an urban area, providing all facilities such as restaurants and hotels within walking distance from the port, Claus Søgaard Poulsen elaborates.